The exhibition The Ecstasy of Saint Teresa will open to the public at the Amos Anderson Art Museum on Friday, August 21. This multidisciplinary exhibition will feature works by ten Finnish contemporary artists who interpret spiritual ecstasy as part of the creative process. The idea stems from conversations in the studio between Sara Orava and Stiina Saaristo about the links between contemporary art and mysticism. The exhibition takes its name from Saint Teresa of Ávila, a 16th-century Spanish mystic, who achieved a state of ecstasy and a sense that she had become one with God. 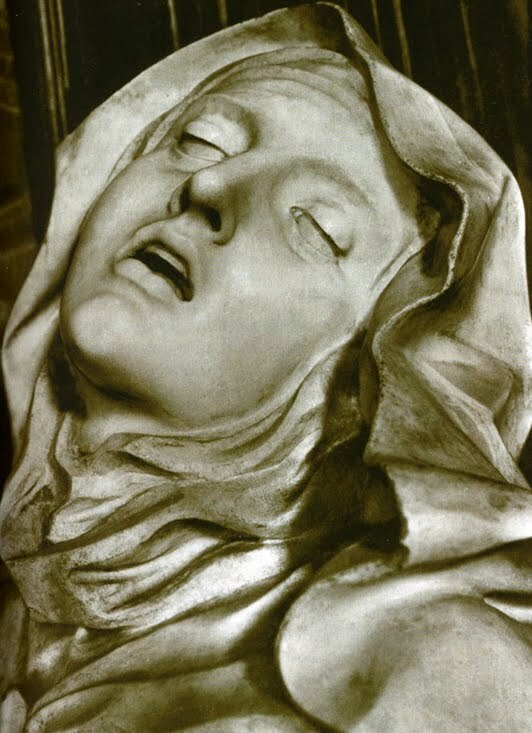 The participating artists have not focused in their works on the persona of Saint Teresa, but on the compulsion to create art and to achieve a kind of artistic ecstasy. 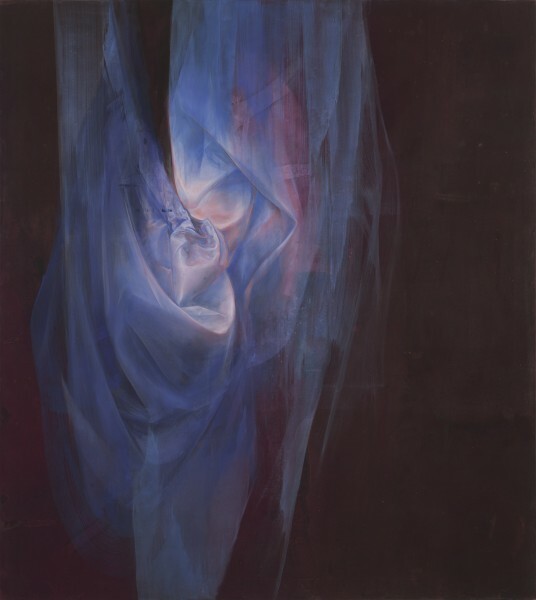 The exhibition’s main themes include the self and renunciation of it. Artists must sometimes emphasize the self and be present in their artworks, but simultaneously must lose themselves and distance themselves from their works. The creative process has a decisive impact on the self, and the boundary between artist and artwork is not often clear. A state of ecstasy can be achieved, for instance, by concentration, repetition and transcendence of physical barriers. The exhibition approaches the theme from various angles, but always with an awareness of the countless manifestations of artistic ecstasy. There are paintings, drawings, prints, installations, sound and literary works, and music. The artist-curators Sara Orava and Stiina Saaristo have selected artists who focus on their creative processes to a veritably masochistic and uncompromising degree. The artists are: Jenni Eskola, Jukka Korkeila, Sara Orava, Heli Rekula, Stiina Saaristo, Seppo Salminen, Henry Wuorila-Stenberg, Juha T. Koskinen, Merja Kokkonen and Antti Nylén. The exhibition is accompanied by a series of lectures by Tarmo Kunnas (Sept. 2), Ulla Lumijärvi (Sept. 16), Laura Wahlfors (Sept. 30) and Gustav Björkstrand (Oct. 14). A meet-the-artists event is scheduled for Sunday, October 4, at 1 p.m., followed by a concert at 3 p.m. by the Zagros Ensemble and Mia Heikkinen. The exhibition has received support from The Finnish Cultural Foundation and The Arts Promotion Centre Finland. Press photos: www.amosanderson.fi>Media>Teresa. User name: Amosa, password: Nitram. Open: Mon, Thurs and Fri 10 a.m. – 6 p.m., Wed 10 a.m. – 8 p.m., Sat-Sun 11 a.m. – 5 p.m. Closed on Tuesday.